The specialist repairs and maintenance team Woodhead One, from construction company Woodhead has donated one of its operatives for a day to help East Leake Amateur Players (ELAPS) get their Christmas pantomime set ready for this year’s festive run of shows. 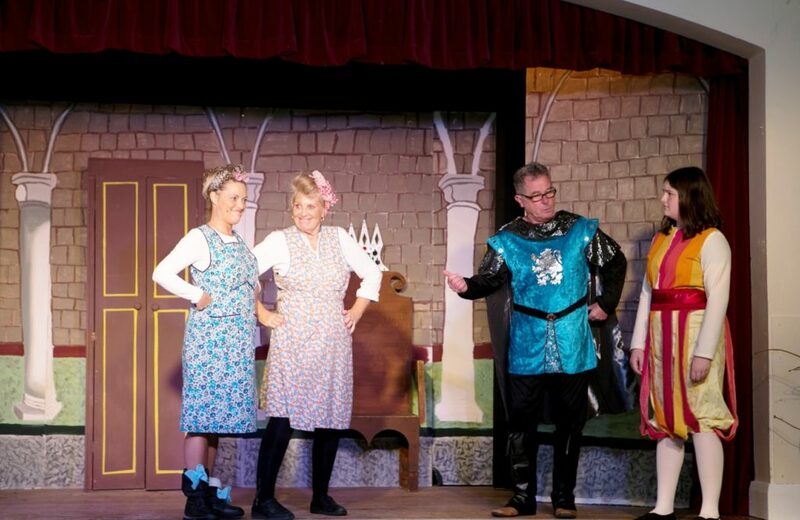 Woodhead One began supporting the ELAPS Christmas pantomime last year following a call for local tradespeople to offer their services. At the time the Woodhead team was working locally at East Leake Health Centre and responded with the offer of free labour. The East Leake-based amateur dramatics group has been established for over 15 years. The group organises, plans and performs two major productions each year. When ELAPS approached Woodhead again this year to see if they would be willing to continue their support for the 2014 festivities, Woodhead offered a day’s labour from one of their multi skilled operatives Terry Lane who normally responds to emergency call outs across the East Midlands. Terry arranged to meet with the ELAPS team beforehand to measure up and advise on the materials needed to complete the work. Tara Kelly from ELAPS said: “We really are very grateful for the support we receive from Woodhead. It’s a big help to the team to have an experienced tradesperson on hand. Terry made sure he understood what we needed and that we knew what materials to buy. He then spent a long day with us building the panels, which include a beautiful arched window that will make up the back wall of our set. This year’s pantomime is Robin Hood Making Merry which runs from 3rd to 6th December at East Leake Village Hall, for more information visit www.elaps.co.uk.